Everyone’s heard it before: “buyers beware.” But, commercial real estate purchasers should be even more cautious when entering an “as is” contract than residential buyers since Ohio law treats them differently. All residential sellers, with some exceptions, are statutorily required to fill out a disclosure form revealing the condition of the property and any known defects. (See Ohio Revised Code § 5302.30). This disclosure form helps inexperienced home buyers discern how much additional renovation costs will incur and gives them an opportunity to simply walk away from the property if too many defects exist. This sounds great right? It is--however, commercial property sellers are not required to fill out any disclosure forms. When buying property “as is,” commercial buyers should know that sellers have no legal duty to disclose flaws in the property. Once commercial property is bought, a buyer has to live with the property, warts and all, and any hidden defects that arise after purchase cannot be blamed on the seller. The only duty sellers have is not to commit fraud by intentionally making false statements or purposely hiding known problems. Though sellers could be liable for fraud, buyers have the burden of proving that the seller was intentionally dishonest or hiding flaws at the time of sale. That is no easy task. Commercial buyers need to be diligent in inspecting the property and should consider hiring experts to assist in the property inspection and to protect themselves as much as possible from hidden defects. Entering into a commercial “as is” contract impliedly means that the buyer has acted with due care in negotiating the terms of the transaction and accepts the seller’s level of disclosure or lack thereof. The purchase agreement is a representation of the buyer’s complete and total understanding that sellers have no duty to disclose defects in a commercial “as is” transaction. Because “as is” and all of its variations (“in its present condition,” “with all faults,” etc.) truly means exactly “as the property is,” purchasers and sellers should give careful thought before entering into these kinds of agreements. Sellers and buyers need to make sure that contracts containing any language similar to an “as is” clause adequately represent both parties’ full understanding of their legal obligations. As for me, I'll rather choose to purchase one commercial which is newly built than the so called “as is” property. For it is almost the same if one buyer purchase an “as is” commercial property because he/she will be the one to handle the renovation if there is. However, if you prefer this kind of property be sure to accept the responsibility you are to gain once problem has been disclosed. Thanks for providing this kind of information. Indeed helpful to all commercial property buyers. Indeed, those are the things we must take in consideration when dealing with purchasing a property. Make sure that the place is the one in the deed. The only job suppliers have is not to make scams by deliberately making bogus claims or intentionally concealing known problems. Though suppliers could be responsible for scams, buyers have the problem of showing that the owner was deliberately unethical or concealing faults at the time of sale. 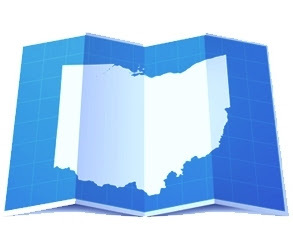 All real property in Ohio that involves a listing broker or buyer broker, mandates that the brokers (and subagents) disclose all known material facts concerning the property. Thus, even commercial property buyers are protected in so-called "as-is" transactions, as the buyer would have recourse against the listing broker for material facts (latent defects, mostly) not disclosed.